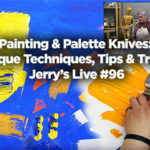 Jerry’s has all the answers! Having trouble searching for the perfect item for the Oil Painter in your life this winter? 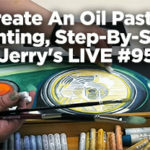 Look no further than Jerry’s Artarama where we have gifts for all oil painters from beginners to advanced professionals! 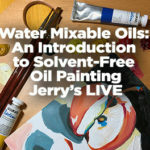 If you’re stumped on what to get your picky or finicky Oil Painter for the Holidays, here is a helpful guide on what you can get them! LUKAS 1862 Oil Colors have heavy pigment loads for exceptional coverage, excellent light fastness ratings for permanence of color and a smooth, buttery consistency making them near perfect. Made with high quality linseed oil, sunflower oil and beeswax as binder makes for even drying and a strong paint. 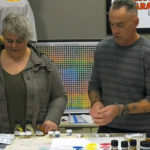 They dry quickly for oils too, and can be dry to the touch in just 2 to 4 days making them dry faster than other leading brands. 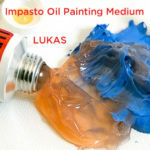 And with a full, lush range of 70 different colors, LUKAS 1862 Oil Paints should be at the top of your list if you are shopping of an established oil painter. Preserving your artwork from time, sunlight, dust and dirt can be tough, but not with the Lavendar Damar Varnish. With as little as two weeks time, you can have a painted and varnished piece that will stand the tests of time! Using a revolutionary non-toxic and odor free formula Varnish can varnish your paintings quickly and with the utmost quality. You can get museum quality protection at an unbeatable price.